It was a new beginning at the French Open. 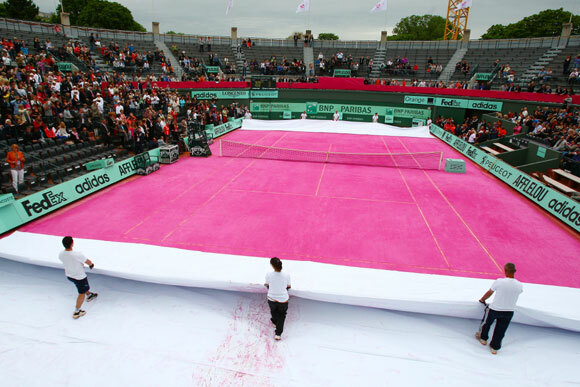 Day 12 of the competition witnessed the unveiling of a brand new pink clay court. 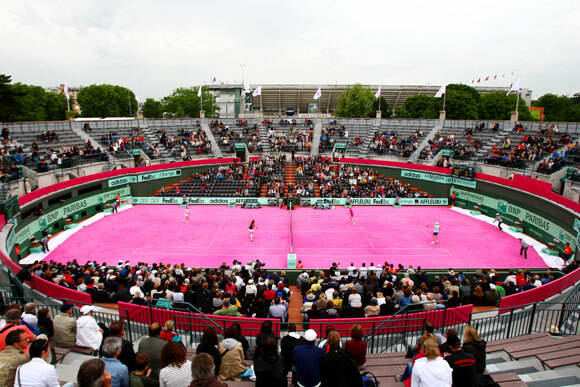 The women's legends doubles semi-final match between American Martina Navratilova and Jana Novotna of Czech Republic and Nathalie Tauziat and Sandrine Testud of France was the first match to be played on the freshly-laid surface. The court was unveiled in the honour of the ladies at the tournament. 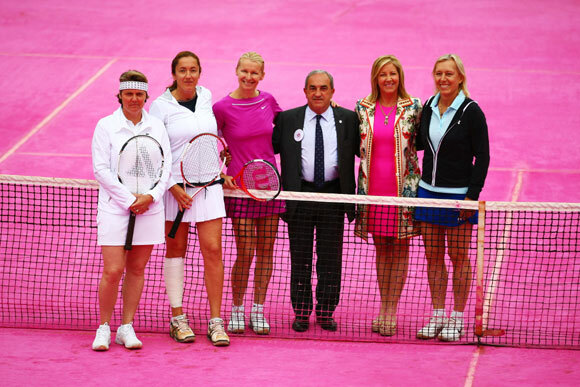 And it was the legendary Martina Navratilova who participated in an exhibition match to inaugurate the court. Besides, Navratilova, Novotna, Nathalie Tauziat and Testud, Chris Evert also graced the opening ceremony. Evert won the French Open on seven occasions. 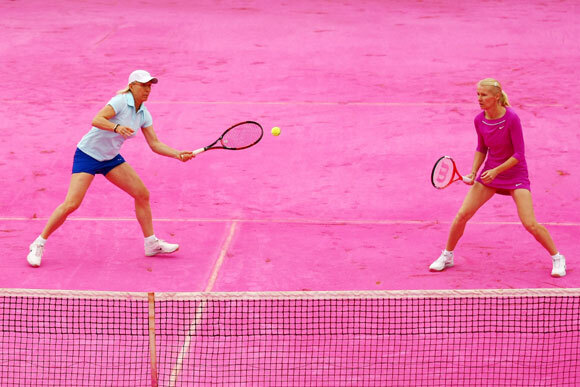 Martina Navratilova and Jana Novotna of Czech Republic played in the women's legends doubles semi-final against Nathalie Tauziat and Sandrine Testud. There was a brief rain interruption before the Navratilova-Novotna combine won the match in three sets.